Yu. Lazarev born June 29, 1946 in Riga. 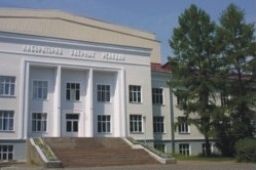 In 1963-1969 studied at the Faculty of Physics and Mechanics of the Leningrad Politechnical Institute. After graduation worked in Laboratory of Nuclear Reactions (FNRL) of the Joint Institute for Nuclear Research (JINR). In 1972 -- coathored discovery of the element 105. In 1979 defended PhD thesis "Prompt fission neutron multiplicity from nuclei in the region of Curium - element 102". In 1989 - 1996 -- head of Synthesis and properties of superheavy nuclei Research Group in Laboratory of Nuclear Reactions, JINR. to place them on this site. Please correct our English too! Please visit Guestbook and Questionnaire.